We are looking for a registered veterinary nurse to join a busy practice in Nottinghamshire. You will benefit from a great work life balance, generous salary plus benefits.  We have a great job opportunity for a RVN to work at a practice based in Nottingham. You'll work 37.5 hours per week, with a 1:4 Saturday morning rota and no OOH. This is a fantastic opportunity for a passionate, self-motivated individual who is keen to develop. We have an opportunity for a RVN to work at a well equipped practice based in Sherwood, Nottinghamshire. You will work 40 hours a week, plus 1:4 weekends on a rota. We have an immediately available job opportunity for a weekend small animal Veterinary Surgeon at a busy practice based in Beeston, Nottingham. We have a fantastic opportunity for an OOH Vet with excellent communication skills to join a busy practice in Nottingham. You will join a fantastic team who will support you throughout your time at the practice. We are looking for an experienced vet to join a friendly practice in Nottingham. Good facilities including cardiology ultrasound, digital radiography, dental xray, new theatre in planning, nurse clinics and great team environment. You will work alongside a 5 Vet, 7 RVN team. Part time or full time applications for this role. There is a competitive salary and benefits package also on offer for this role. We have an immediately available job opportunity for a small animal Veterinary Surgeon at a busy practice in Nottingham. The ideal candidate will have previous experience in a similar role, within a small animal practice environment, you will also have a strong track record in the delivery of exceptional client service with strong branch development skills. Your work week has a great rota featuring no OOH and 1 in 2 Saturday mornings with a full weekday of in lieu, there is a competitive salary and benefits package on offer. We have an immediately available job opportunity for a small animal Vet at a busy practice in, Beeston, Nottingham. Great work rota, competitive salary and other great benefits. Experienced veterinary surgeon required for friendly 1 vet 2 nurse practice based in Worksop. The ideal candidate will bring new ideas to the surgery to help continue with the rapid growth. The practice is well equipped this includes radiography and an internal laboratory. You will work 8.30am – 6.30pm Mon – Fri & Saturday Mornings 8.30am – 12pm. Excellent salary is to be offered for the right candidate including but not limited to accommodation and other benefits. 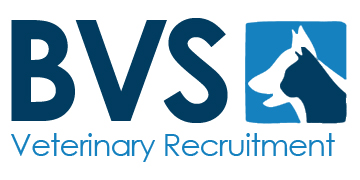 We have an opportunity for a RVN at a vets based in Nottinghamshire. You will work 40 hours a week, plus 1:4 weekends on a rota. We have a opportunity for a RVN based in Nottingham. You'll work 37.5 hours per week, with a 1:4 Saturday morning rota and no OOH. Friendly small animal practice - based near the city of Nottingham - are currently looking for qualified nurses to join their ever-expanding support team. They are wanting someone to work 40 hours per week with a weekend rota of 1:2/3 (consists of Saturday 8.30am to 12.30pm). Competitive salary with great company benefits. Our client - based in the lovely city of Nottingham - is recruiting for a new vet surgeon to join their dynamic team. The ideal candidate would have 2+ years experience, looking to develop their professional knowledge and experience. It is a full-time position with no OOHs and weekends on rota. Great package on offer including a competitive salary, funded and encouraged CPD, VDS cover and 25 days holiday plus Bank Holidays.